The new South–South cooperation (SSC) differs fundamentally from the previous approach in its modality and nature. Following World War II, SSC aimed to extend the survival space for the newborn countries in the South via peer-to-peer support. More recently, after several decades of development efforts, the emerging powers (including China) are promoting innovative international development cooperation relationships in the new era, based on their own experiences and resources. This chapter examines the origins, content, progress, outcomes, and impacts of SSC through the specific case of two projects in Tanzania operated by China Agricultural University. The key elements and features of SSC are summarized based on the empirical data. The case study indicates that SSC has been reshaping the relationship between China and the world. It entails new development knowledge that not only originates from China’s own development experiences but also is underpinned by China’s knowledge about the social, economic, and cultural practices of the other country. This new development knowledge is produced during the interaction process between China and the partner nation. This case demonstrates that SSC is a multi-way learning process based on peer-to-peer sharing relationships and following local development priorities. Shared knowledge is generated through practice rather than through purely theoretical debates. The agency of local partners in the development process is a key aspect of this new type of SSC. 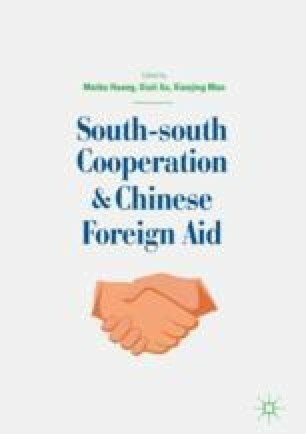 Research and writing were co-supported by the National Social Science of China (16BGJ021) and the China International Development Research Network (CIDRN).